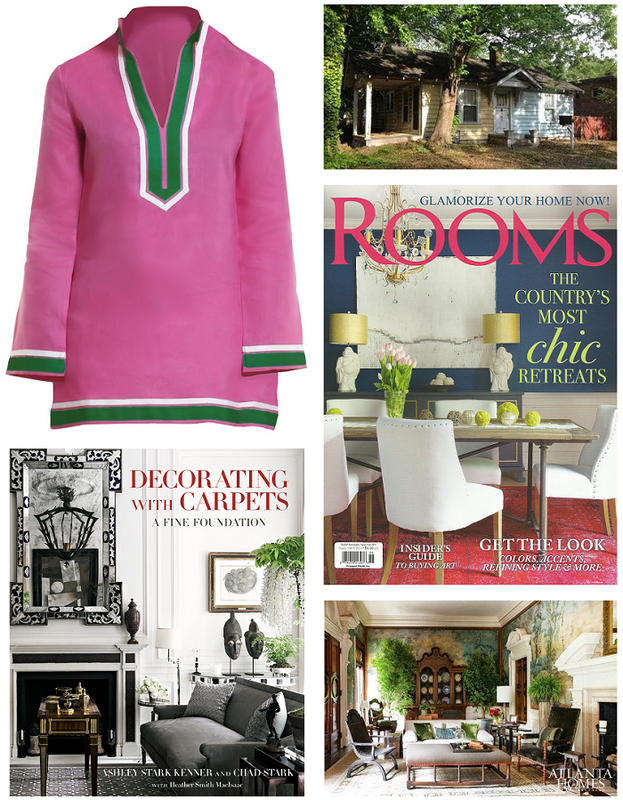 "The Sweet Briar" by Guru -- I have Guru founder Zein Ahmed to thank for partnering in a fundraiser to support Sweet Briar, by designing one of her signature style Tunics in our college colors, Pink & Green. Before & After -- Cheers to the team from Balustrade Properties for wisely choosing to remodel rather than tear down this quintessential Grant Park bungalow. Pick Up A Copy -- This year I had the great & fun opportunity to write articles and book reviews for a number of design magazines. 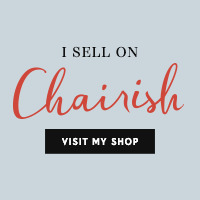 Book Review -- I have The Vendome Press to thank for continuing to ask me to write book reviews for their newest releases. I absolutely enjoy these assignments! On The Market -- I concentrated more this year on seeking out properties listed for sale that have some sort of design tie to them -- whether by noted architect or interior designer. Looking at/for appealing real estate is and will continue to be one of my all time favorite pastimes. Spotlight Q&A with Annette Berry -- The portfolio of NYC based designer Annette Berry is exceptional. 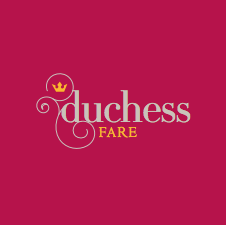 I have her to thank for designing the Duchess Fare logo, now some 5 years ago! 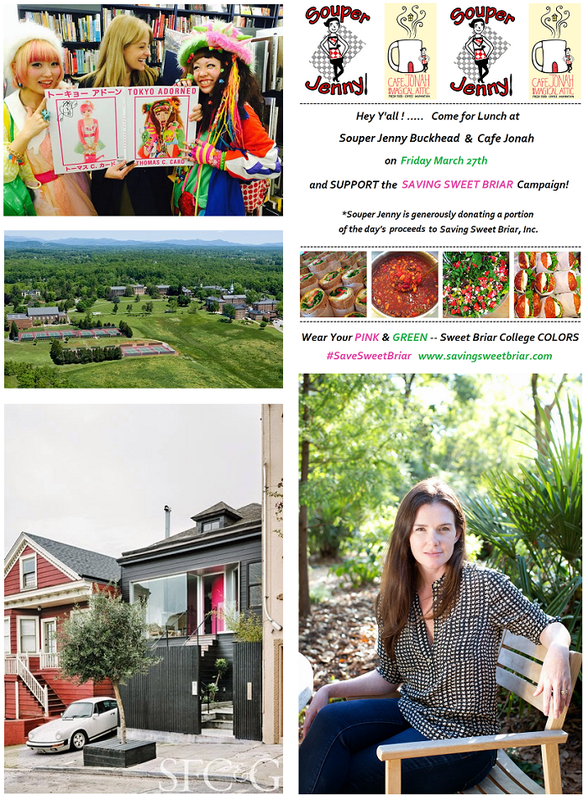 Support Saving Sweet Briar -- When the shocking news of Sweet Briar's closure broke, I turned to longtime friend Jenny Levison, founder of Souper Jenny, for her help in organizing a fundraiser and to raise awareness for the college in Atlanta. #SaveSweetBriar -- I wrote this post about a week after receiving the news of the previous President & Board of Trustees announcing the closure of Sweet Briar..... So many emotions mixed with so many unanswered questions. Thayer Allyson Gowdy -- Thayer is a CA based photographer (who happened to shoot our wedding in CT back in 2005), and her charming period home was featured in San Francisco Cottages & Gardens following a complete renovation. Spotlight Q&A with Jayme Armour -- A look into the process and work of Atlanta based interior designer Jayme Armour, who I find to be one of the great talents of our city!